Looking gorgeous and unique is every bride’s goal on her wedding day in Spain. This is what makes her feel amazing on this special day. Choosing the perfect wedding dress may sound easy. However, this is one of the most complex tasks in the planning stage of a wedding. You need to look carefully and choose carefully in order to find the perfect wedding dress. No one would like to look average or bad on their wedding day. 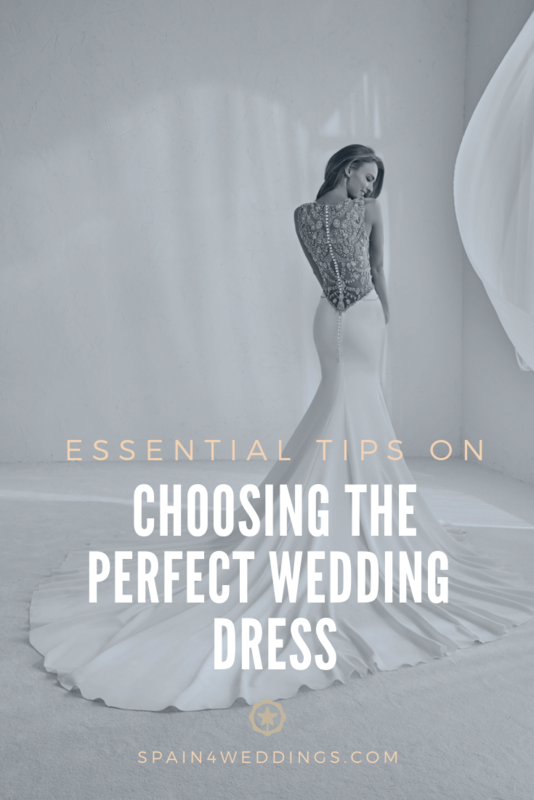 Outlined below are some essential tips on how to choose the perfect wedding dress. First and foremost, you need to set a budget. i.e. how much you have or will like to spend on the purchase of your wedding dress. This will help to narrow down your search and make the job easier for you. You can start your research by looking at bridal magazines both online and offline to get up to speed with recent trends. Bring all the ideas you have in mind together and search for designers in Spain who have a track record of perfection in this field. When going to the stylist’s place to try on the various wedding dresses, it is important that you put on the right undergarments. This is because you’ll be in a small room with a total stranger. This is something many brides don’t take into account when going to try on their wedding gowns. You need to be in underwear which looks classy and makes you comfortable not some granny underwear. You should also make sure you put on a strapless bra in order to portray the beauty of some wedding gowns. Give yourself enough time to come up with the perfect wedding dress. You do not need to rush the process of choosing a wedding dress. You need to give yourself ample time to choose the perfect wedding dress and contact the designer well ahead of time. It takes not less than 6 months to come up with a perfect wedding dress even though averagely, it takes 8 to 9 months. Ideally, start the process for at least one year before the D-Day. When going to try out the various wedding dresses, do not go with an entourage. We know you might be excited to go along with your bridesmaids, mother, mother-in-law or even your sisters. We advise against going with many people as this will cause a conflict in opinions. Some people may even feel like you are ignoring their opinions. Remember that the most important opinion is your and act accordingly. These tips are those we deemed very essential to the choosing of the ideal wedding dress. 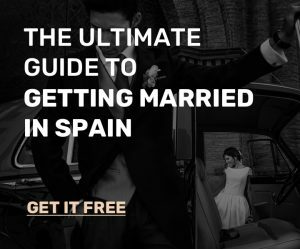 Visit our blog daily for more wedding tips in any area you have a problem with when planning your wedding in Spain. We are always ready to provide you with exactly what you need.